Are Contactless cards creating problems on the Tube? 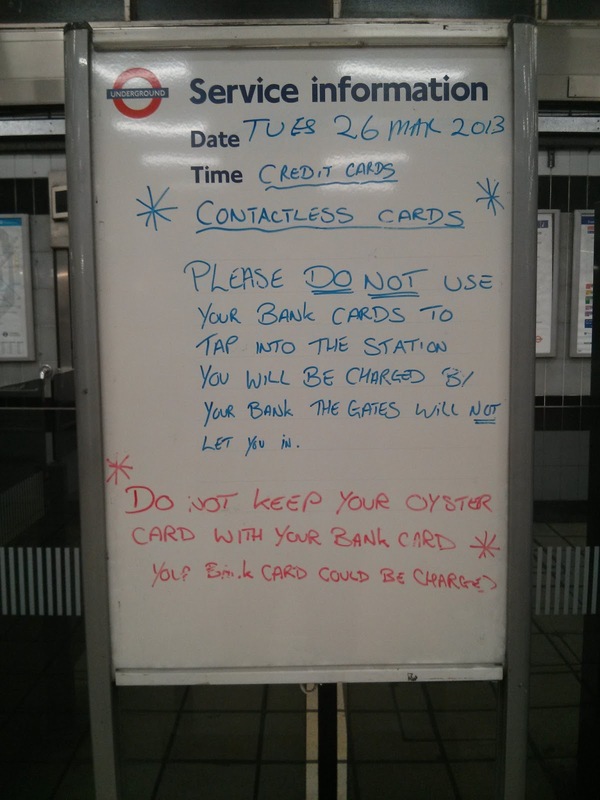 A Reddit user had spotted the following sign at a London Undeground station recently, implying that some contactless bank cards are being charged on Oystercard readers on the Tube. As most people know, TfL recently rolled out a service where those with contactless cards could pay for bus fares. From late 2013 you will be able to use cards to pay for Tube journeys too. No one else on Reddit the specific issue above but someone had said their contactless Barclaycard messes up the gates on the Tube. I was wondering if anyone else had experienced their contactless cards working on the Tube, or somehow confusing the barriers. When the whole idea of contactless payments for travel was first planned back in 2006, there as already some worry expressed about confusion. Head of credit cards at Moneysupermarket at the time said: "This type of innovation is very much welcomed in the cards market," said "However, the convenience of having three payment types on the same card could potentially lead to customer confusion about which part of the card is being debited." I'm sure that someone from TfL will be able to shed light on the above photo, or explain what the problem at this station was, however it there are warning signs on TfL's website about not keeping your Oyster card and contactless cards together. "If you keep your contactless payment card and Oyster card together (for instance in a wallet) and touch them on the yellow card reader together, the reader will normally reject them both. This is because we can't be sure which card you want to use. If you have more than one contactless card (Oyster card, payment card or building pass), please choose the card that you intend to pay with, and touch it on its own on the yellow card reader. If you don't there is a small possibility that payment will be taken from a card that you did not intend using." Bear in mind this is relating to buses and not the Tube. Nonetheless the above sign is worrying and hopefully it's a one off case. Any thoughts appreciated, specially if you've noticed your own contactless cards causing havoc with the barriers on the Tube. 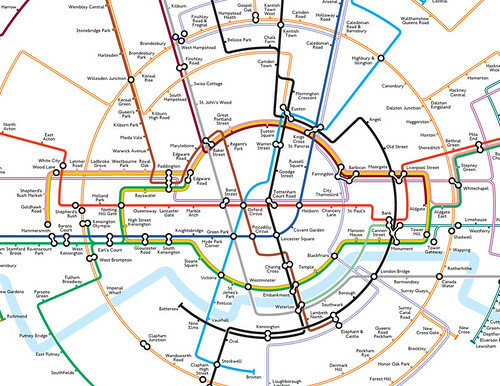 Map fans and Tube geeks love Max Roberts' re-designs and re-workings of the London Underground map. His posts are some of the most popular on my blog and recently his Circular Tube map received a ton of coverage online and in national and London newspapers. Over the years, a number of people have asked for poster versions of his maps and in response he's produced a poster print on demand service for your favourite maps from his collection. They're availabe in A2, A1, A0 and oversize (44 inches for the short dimension) and printed on Olmec matt photo archival paper, 230gsm. Max is a stickler for detail and will check all prints for quality and pack to perfection before dispatch. As as special introductory offer when you buy any poster, and have the opportunity to buy his book Underground Maps Unravelled for just £35.00 including postage, which is £10.00 off the cover price. You'll see a small selection of Max's maps on this page but remember Max has designed over 100 different maps for cities worldwide, too many to list on that page. He says "You will also find designs scattered around the internet, sometimes as slideshows, also included with exhibition reviews. 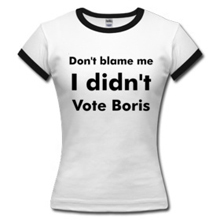 If you would like a specific design, and you can describe it verbally (e.g. the page number from my book) then order directly by using the button below. I will email back with a thumbnail to confirm that this is the design that you want. Alternatively, email me with a description and an image, and we will take it from there." Has the London Underground Map Lost its way? Later today the Queen will be winding her way down to Baker Street, where along with the Duke of Edinburgh and Duchess of Cambridge, she'll be visiting Baker Street London Underground station to mark the Tube system's 150th birthday. The Queen has recently been suffering symptoms of gastroenteritis and this is her first public engagement in more than a week, so the Tube should be quite honoured. Although unsurprisingly the Queen isn't an anorak and doesn't make a habit of visiting stations or travelling on the Tube. She is pictured above on the opening of the Victoria Line in 1969. As you can see she's making the major faux pas of having her bag take up a seat. Still it was only her second trip ever on the Tube. 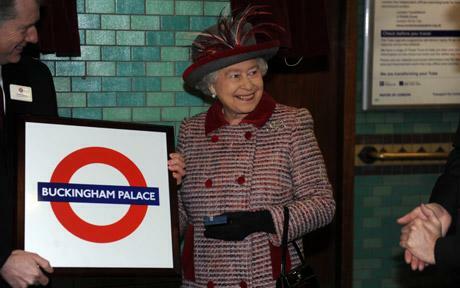 She last visited a Tube station for a much more sombre occasion in February 2010. She went to Aldgate station to view a memorial plaque dedicated to the seven people killed at Aldgate during the July 7, 2005 bombings. The Queen, Philip and Kate will view a restored 1892 carriage and then meet station staff and apprentices involved in the restoration of the rolling stock. They won't be travelling on a moving train, but will walk through a new S7 train before the unveils a plaque, naming the train Queen Elizabeth II. TfL would be missing a trick if they didn't give Kate a "Baby on board" badge - but we'll have to see. The royal party will also meet staff from the Railway Children charity, an international organisation which works to help homeless youngsters. More on the BBC. 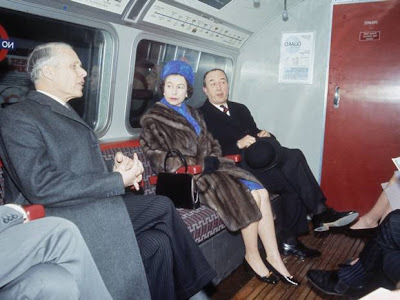 The Queen first travelled on the Tube in May 1939, when she was 13 years old and still a Princess. She was pictured with her governess Marion Crawford and Princess Margaret. Yet another celebrity waxing lyrical about the joys of travelling on the London Underground. After 17 years of Tube-free travel, for some reason, Geri Halliwell travelled one stop on the Piccadilly Line on Wednesday morning. Such a momentous occasion for her she felt obliged to Tweet travel tips too. 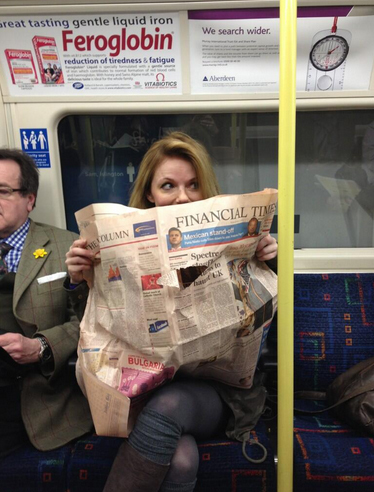 Carrying a copy of the Financial Times, with a hole in the front cover - presumably so could travel ingonito and still peer at fellow commuters - she Tweeted "Forgive me for being a brat:-after 17 years & yesterday's 2 hrs of traffic-lets save time & money-the tube". Quite why she bothered remains a mystery, when walking between Piccadilly Circus and Leicester Square would have saved her even more money. Feeling "liberated" by the experience and since not travelling Underground for almost 20 years, Halliwell tweeted a couple of Tube tips for those of us not used to a daily commute. 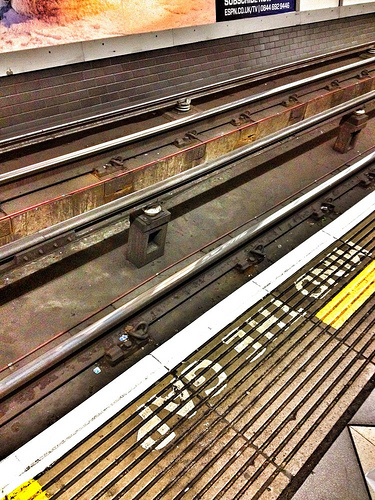 "Tube tip – doors stops at platform entrance, or below sign, more seats at end carriage. oh & it's not smelly just saying." 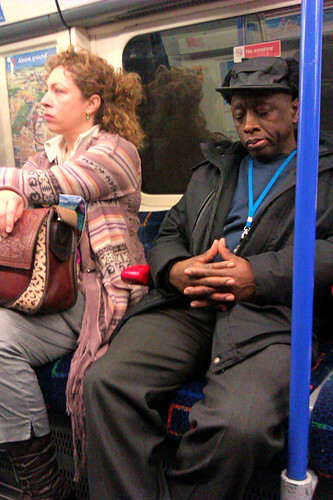 "Rules of the tube, I notice no one smiles or looks at each other, like stay out of my zone." 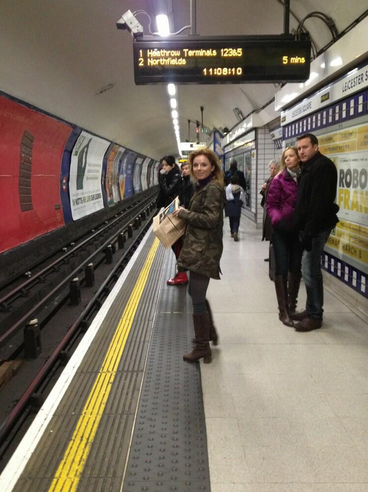 It's almost as though Ms Halliwell felt she'd be travelling on a whole new system from when she last took the Tube. One where those of us who don't have a daily commute of 40 minutes or more, or have the luxury of an empty carriage, feel the need to smile at each other. 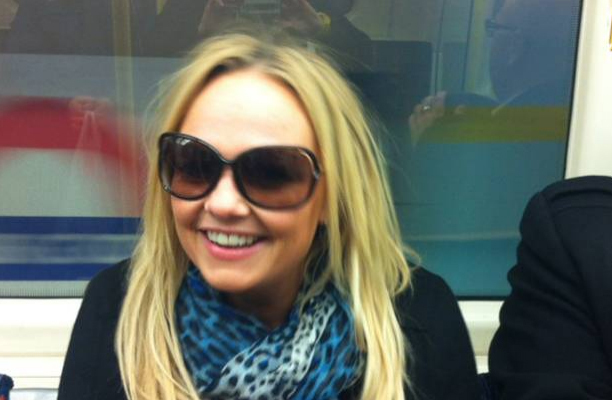 Fellow Spice Girl Emma Bunton who co-presents the breakfast show on Heart was challenged by Jamie Theakston to use the Tube this morning when she revealed she hadn't used the system for 15 years. I'm worried that Victoria Beckham might decide to follow in the footsteps of Emma and Gerri and Tweet about how Tube travel plays havoc with her bunions. Or how no one noticed her travelling in her shades and just returned her pouty look with an equally dark Paddington stare. Will there be more of a trend of A list celebs travelling on the Tube now if only to give them something to Tweet about which make them seem like "normal Londoners"? For my part, I get more joy out of spotting celebs like Alex Kingston, Roland Gift and Justin Lee Collins on the Tube. They don't see Tube travel as a special event or a moment to be enjoyed. Like the rest of us commuters, they just look bored or end up staring into space hoping there won't be any delays or random people trying to strike up a conversation with them. Celebrations during the 150th anniversary of the London Underground are continuing throughout the year. Whether it's coins, stamps, art, lectures or steam trains running on the Tube, it seems we can't get find enough ways to celebrate what the Underground means to us. I just heard a delightful story (which in all likelihood has nothing to do with the 150th celebrations - but it's fitting it will happen this year anyway) - the shouty man is returning to London Underground. When I originally wrote this blog post, it was reported that Peter Lodge, the man who did the original booming "Mind the Gap" announcements from the late 1960's - was returning to the system. However it's actually Oswald Laurence's voice that is returning. Over the years his voice became as much part of the Tube as moquette and the roundel. But gradually new recordings were introduced to the system and the only place where you could hear "the shouty man" was on the Northern Line's northbound platform at Embankment. That was up until last year when it was replaced, much to the sadness of Oswald's widow who used to travel on the Tube to that station simply so she could hear his voice. However, London Underground in a fit of kindness, nostalgia and romanticism, have decided to re-instate his voice to Embankment, so not that his widow (and everyone else) can hear it. Peter Lodge also recorded a Mind the Gap announcement. His son who commented on my post to say his mother sadly died a few years before Peter. How Lodge came to record the announcement is re-told on Mark Mason, author of Walk The Lines, blog. He writes: "An actor had already done a version, but his agent was demanding royalties every time it was played. London Underground replied, understandably, that it was going to be aired thousands of times a day across the system, and they couldn't possibly afford it. So someone from their office who had a nice voice was dispatched to do another version. As the studio engineer, Peter Lodge, waited for him, he recorded himself saying it, just to get some microphone level. When Mr London Underground arrived Lodge played him the recording, and got the reply ‘that's as good as anything I could do, let's just use that'." Good on London Underground for bringing Oswald's voice back and thanks to Peter's son for the correction and update to this story.